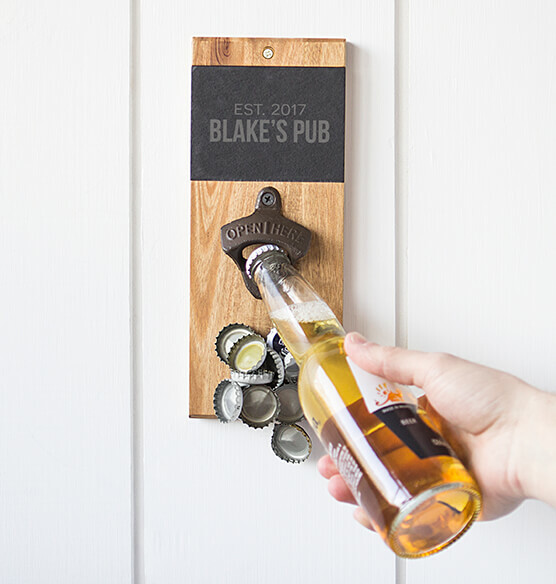 Upgrade your home bar with the Personalized Acacia Slate Wall Mount Bottle Opener with Magnetic Cap Catcher. 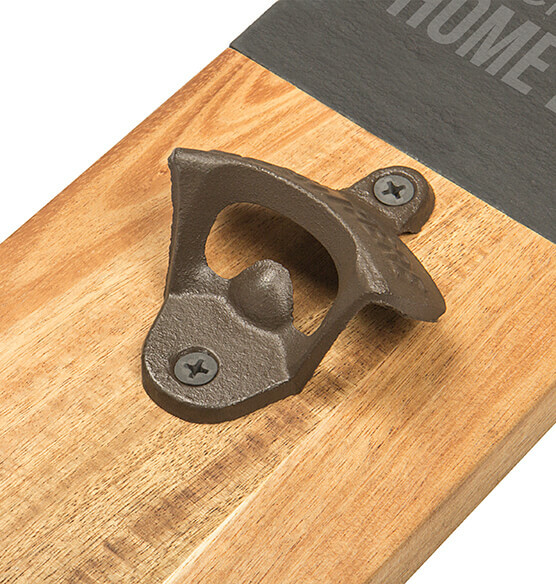 A unique mix of acacia wood and slate, this mounted bottle opener features a magnet under the opener to catch falling caps and includes the hanging hardware. 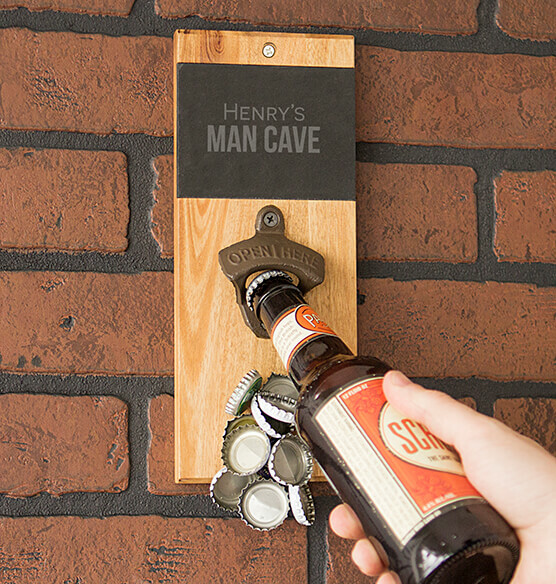 Whether it's a gift for you or your friend, you can count on this personalized bottle opener to uncap a beer and help the good times flow. 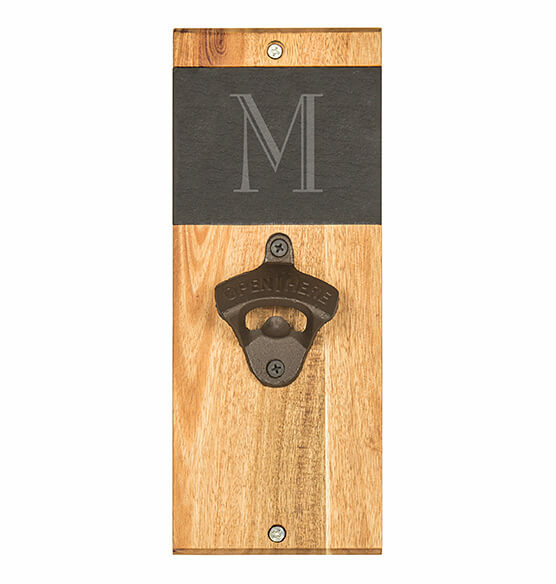 Crafted of Acacia wood, slate and iron.